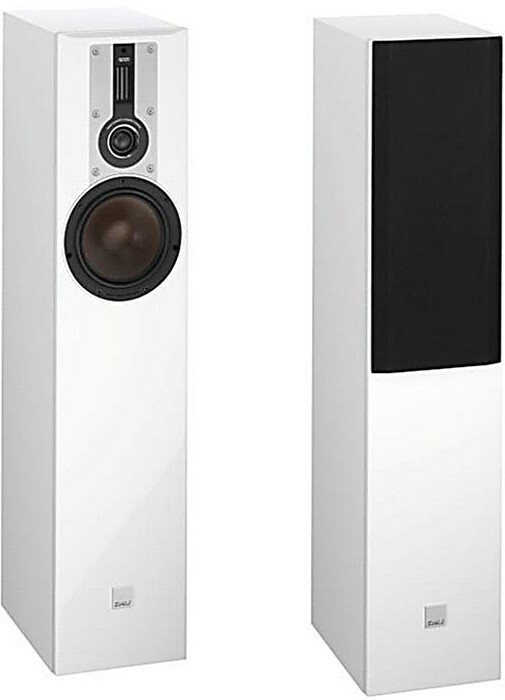 Dali Opticon 5 is the first floorstander in the Opticon range followed by the larger Opticon 6 and Opticon 8. Browse the rest of the range to create your ultimate home cinema speaker system. The Dali Opticon 5 is the first floorstander in the OPTICON series. It is an exceptional sleek performance powerhouse that includes a 6.5" low-loss Wood Fibre Woofer that works in seamless conjunction with our hybrid Soft Dome/Ribbon Tweeter to render sharp and precise detailed low frequencies. The mounting of the drivers and the final tests and approvals on each and every speaker is also handled directly at our own assembly lines in our Danish factory. Just under 90cm in height, the physical presence of the OPTICON 5 hardly dominates a room, but the almighty sound it is capable of emitting will demand every last iota of attention from the listeners inside it. All elements of the DALI drivers are designed, produced and manufactored in-house in DALI. The front baffle on the OPTICON 5 form a rigid base for the drivers, which are screw-mounted directly into the 25 mm thick MDF. To ensure the best possible hold on the woofer and thereby integration with the cabinet, the 5 screw holes are placed along the arms of the woofer chassis. The tweeter module is held securely in place with 6 screws to eliminate vibrations and resonance. A rubber gasket is placed between the woofer and the milled out rim to ensure a 100% airtight fixture. The Wood Fibre Woofer and Hybrid Soft Dome/Ribbon tweeter combined produce a seemingly effortlessly transparent image that reflects the passion and energy of a live performance across a staggering soundstage that extends across the entire room with a coherent and open mid-range.